The original ‘Destiny’ came out in 2014, and over its three-year lifespan, it has created a loyal community even with its flaws (such as a thin storyline). 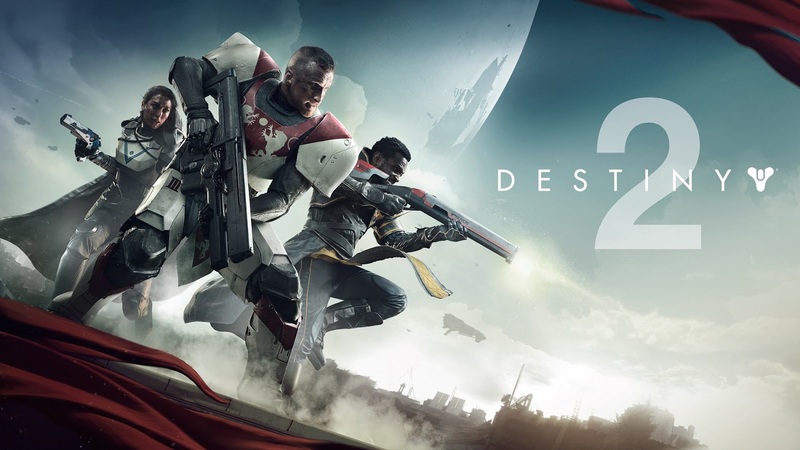 Now the sequel, ‘Destiny 2’, improves on all areas whilst also maintaining incredible gameplay and moment to moment action that the first did so well. As with the first game, it really only truly begins once the main campaign has finished and the loot grind begins, and you get to partake in various activities, such as three-man strikes, public events, and of course the highly anticipate six-man raid. For some people this is where the fun stopped in the first game, as if you play solo then you rely on internal matchmaking for most events to set up with other players, which can be hit and miss and doesn’t give the same feeling as playing with friends during these events. Of course, the game itself isn’t at fault here as it is heavily advertised as multiplayer, but because of the communication needed to complete certain events, being set up with random people can be quite bewildering for the new or solo player. When you do manage to find a group you gel with, however, and you progress towards the more difficult end-game activities, then this is where ‘Destiny 2’ really shines. This is epitomised in the six-man raid, released one week after launch, which puts you and five others against a series of challenges to earn the best loot in the game – each activity requires a lot of communication and skill to overcome, so it’s not something you can just walk into and ace straight away (not for me, anyway). The art direction in the raid and the game as a whole is incredible – not only are skyboxes stunning but everything is so detailed and meticulously crafted that you’ll find it hard not to stand still and admire the view each time you move to a new location. The only issue that I found with the art design is that the graphics improvement from the original game is not the huge jump that I was expecting, considering that it’s been developed purely for next-gen consoles and PCs. It’s still beautiful as hell though, so I’m not overly fussed. Beyond the graphics, another element that was executed well in ‘Destiny’ was the core mechanics, and these haven’t changed in the new game which is a very good thing. It still feels like the original, and the controls and visuals gel together perfectly. One thing that has changed considerably is the PvP aspect, which has been altered from 6v6 to 4v4 across the board. It’s a different way of playing now, as it feels much less chaotic than before and rewards teamwork and sticking together. There’s also a brilliant selection of new and exciting maps, which will only be increased as the expansion packs come out further down the line. It’s actually quite hard to review ‘Destiny 2’ in its current state of play, as Bungie has also created a roadmap, where they are detailing every event happening in the current months. There’s so much more content to come out, such as Faction Rally and Iron Banner, a monthly PvP event, and these will all give more ways to earn loot (because, at the end of the day, loot is what we care about most). Talking of loot, one problem that many communities have experienced is how simplified the loot system has become – now loot is a lot easier to earn, and it’s Exotics aplenty. This could potentially hurt the longevity of the game as there may end up being nothing to strive for – after all, the game is built on a sense of longevity and loot addiction, making it a favourite among completionists. Even though there’s still some flaws, ‘Destiny 2’ is still a game that I’ve put over 100 hours into so far, and I cannot wait for the DLC in December. It improves upon everything the original ‘Destiny’ built but Bungie has also acknowledged issues from the previous game and tried to alleviate these to mostly excellent effect.